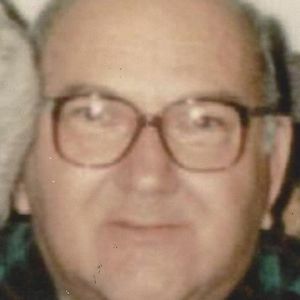 GREENVILLE- Ellis Mitchell Schroader, age 84 of Greenville, died Friday, June 20, 2014 at Belle Meade Nursing Home in Greenville. He was a retired coal miner that loved gardening after his retirement. Mr. Schroader was a member of Union Chapel Church. He is preceded in death by his wife, Elvie Cottrell Schroader; parents, Robert and Lois Schroader; brother, Carl Schroader. Survivors include his sisters, Irene Welborn Herrington of Owensboro, Lillian (Art) Hamilton of Owensboro, Mary Knight of Greenville, Wanda Smith of Owensboro, Jane (James) Miller of Owensboro, and June (Denzil) Webster of Greenville; brothers, W.D. (Mary) Schroader of Owensboro, Sherman (Martha) Schroader of Greenville; several nieces and nephews. Funeral services will be held on Monday, June 23, 2014 at 11:00 AM at Tucker Funeral Home in Central City with Rev. Kerry Vincent officiating. Burial will follow in Evergreen Cemetery. Visitation will be held Sunday, June 22, 2014 at 5:00 PM at the funeral home. Online condolences can be made at www.tuckerfuneralhomes.com. Mitchell and Elvie were our neighbors out on Riverside. Both wre very kind, loving, and generous people. May God bless your families. You both will always be remembered!